Quick: name an iDEN slider. Having trouble? Really wracking your brain over there? Well, allow us to help you out by introducing you to the i856 Debut, a just-announced model that's been rumored for Boost for the better part of 2009. The phone pushes iDEN even deeper into consumer territory and away from its traditionally business-oriented roots, featuring a funky (well, funky for iDEN, anyhow) design, stereo Bluetooth, microSD expansion to 8GB, GPS, a 1.3 megapixel cam, and that slider form factor that plays far better among Boost's youthful demo than among Nextel's decidedly heavier-duty clientele. It's available today for $169.99 (and for the record, we think we deserve a little credit for not cracking a "Motorola debuts the Debut" pun). 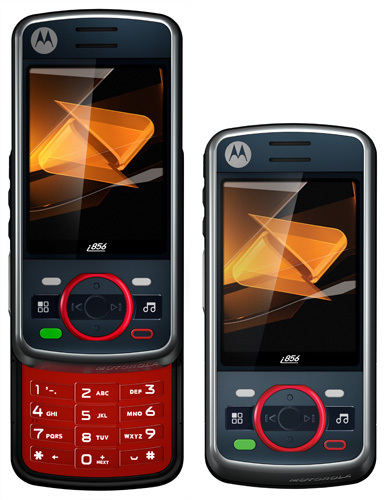 Motorola and Boost bow the i856 Debut slider originally appeared on Engadget Mobile on Wed, 02 Sep 2009 11:57:00 EST. Please see our terms for use of feeds.